DIY Chess Set Using Screws, Nuts & Washers! These 10 Cars Have The Peculiar Longitudinal FWD Layout! Epic Fail: Cleetus McFarland Lost To A 150 MPH Sleeper Minivan! Stop Rust On Your Car With This Treatment Forever! 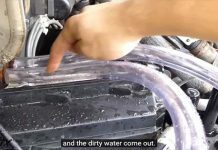 Ford Granada Swapped With Koenigsegg CCX Engine! Is The Lamborghini Caramelo V4 Superbike Becoming Reality? Can Anything Get Madder Than This Steam Powered Land Rover? Honda NSX vs Honda CBR1000RR – 2018 Drag Race! 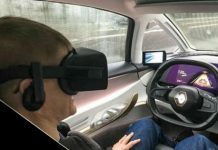 The Best Car Gadgets For Christmas 2017! Surprise Your Car Guy/Girl! Chained Cars Take On A Ramp In This Amazing Animation! Is This Renault The Smartest Autonomous Car Ever Made? 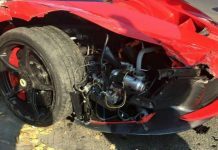 This Guy Crashed His Brand New LaFerrari Right After Leaving Dealership! 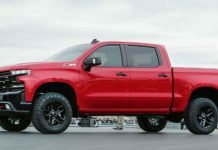 2019 Chevrolet Silverado – First Look!